This Tony Award-nominated show is an intoxicating musical fable filled with humor, heart and the extraordinary music of three-time Grammy award winner Keb’Mo’. In a small Alabama town, a mysterious Blues guitar-playing stranger named Marvell Thunder arrives at the door of the Dupree family. He’s a mythic figure with supernatural powers, who brings a challenge for the offspring of the late Jaguar Dupree, the only man who ever outplayed him in a “cutting contest.” Thunder offers Glory Dupree, Jaguar’s blind daughter a Faustian bargain: if he wins the contest he gets Jaguar’s guitar, and if she wins she gets her sight back. 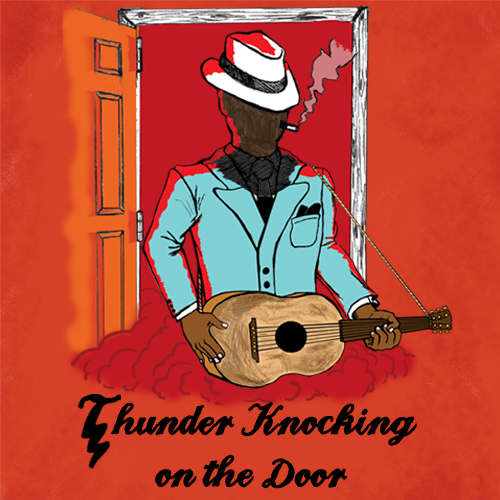 In 2013, Thunder Knocking on the Door brought the house down and had audiences on their feet at every performance. We couldn’t resist the urge to turn the cauldron into a “juke joint” once again and bring share this crowd-pleasing musical back to life for our 10th anniversary.